Give a beautiful, hand-crafted look to any product with these unique, water-resistant labels that are ideal for glass bottles and jars, plastic, metal and paper. The permanent adhesive holds strong, and the colors won't run, making them perfect for labeling chilled products. The premium look and arched-shape will also add a touch of class to all your branded products, brochures and other business items. Print-to-the-edge capability lets you apply colors and sharp clear text all the way to the edge of the label to vividly showcase your logo or promotion. 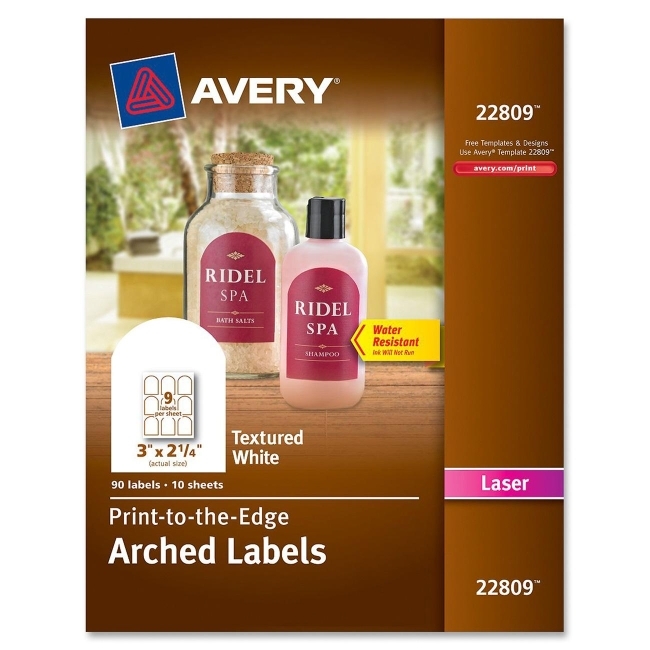 Entice your customers with easy-to-design custom labels using the free templates and designs on Avery Design and Print Online. Labels are designed for use with laser printers.